CASTLE SHANNON, pa — On January 14, the Baldwin Highlanders moved into the fifth seed of the Southeast division of Class-AA with their win over Penn-Trafford. Monday night, they won their fourth straight game and held onto that fifth seed with a 4-1 win over the Plum Mustangs. They currently have 15 points and sit one point behind fourth seeded Franklin Regional. Baldwin jumped out to an early 1-0 lead on a goal by defenseman Nathaniel Breisinger, his first of the year. The Highlanders took a 2-0 lead just 17 seconds into the second period on a goal by Jason Kavulic. They extended the lead to 3-0 at the 13:45 mark of the second thanks to Zachary Pender. 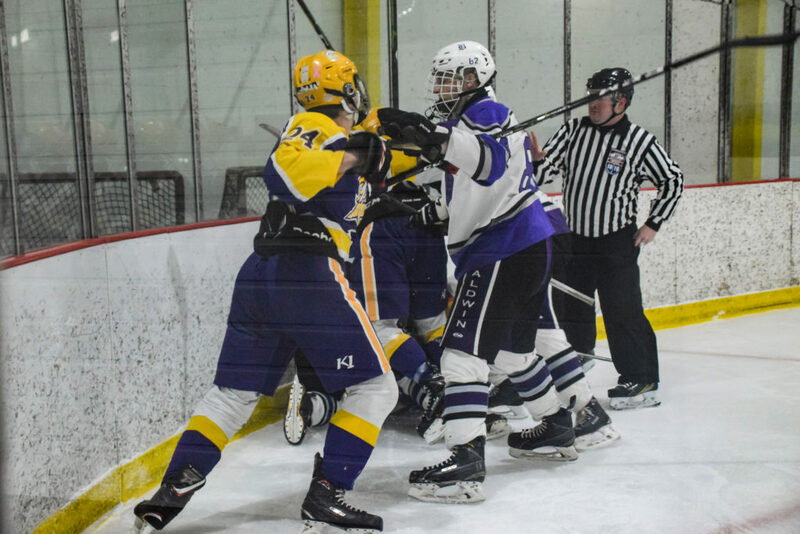 Plum got one goal back early in the third from Logan Schlegal, but it wasn’t enough to keep the game from getting ugly. Nathan Hobson and Justin Pollard for Baldwin were each called for a five-minute major for fighting and a game misconduct at 5:51 of the third. Daniel Baranowski and John Kadlecik met the same fate for Plum. Donovan Palmer took an unsportsmanlike conduct minor penalty a minute later after play resumed, showing that the Mustangs were not going down without a fight, as they felt that Baldwin had been the obvious aggressors in the earlier fight. Baldwin put in the empty netter with 47 seconds left to play and the Highlanders prevailed, 4-1.